TV Repair - 42" Sharp Aquos - Is it toast or worth fixing? 42" Sharp Aquos - Is it toast or worth fixing? 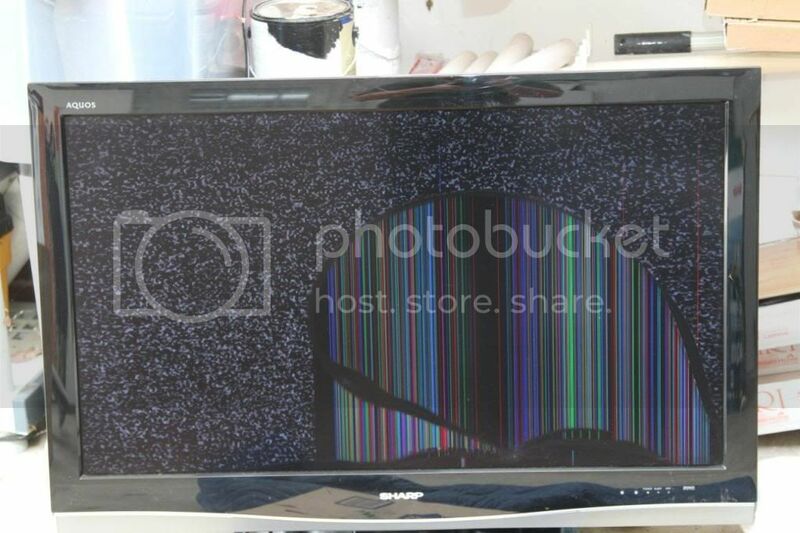 Posted: Sat May 19, 2012 10:11 pm Post subject: 42" Sharp Aquos - Is it toast or worth fixing? 42" Sharp Aquos.... Is it toast or worth fixing? I suspect it may have been dropped, but no one is fessing up to it! Is this TV worth fixing or is it time to toss it and buy a new one? Paint a portrait on it and hang it on a wall above a fireplace? Paint a target on it and heave some darts? Toss it off the nearest cliff so we can observe its frisbee-like qualities? That's great. Thanks I like the frisbee idea. IF the set was $500.00 NEW, you're looking at a $450.00 to $650.00 repair, assuming you can find a NEW panel. I wouldn't trust one "pulled from service."